Little, Brown and Company, 9780316334310, 320pp. A "gem of a memoir...readers will savor Mulgew's gift for erudite, honest writing and want to read more about her mesmerizing life." A "vivaciously lyrical memoir, revealing [Mulgrew] as a character more fascinating than any she's played." "[Kate's] voice is engaging and funny...Reading about her life, which contains real trauma as well as success, is like being told stories by a good friend over drinks. She takes you behind the scenes on-stage and off, and it's a fascinating journey." "Written with a marvelous flair for anecdote and detail" and a "candid, jaunty, pinch-of-sarcasm verbiage." "Mulgrew swaggers endearingly across its pages, her 'able and hardy constitution' ever on display as she powers through the many challenges--both personal and professional--that life has tossed her way. Eloquent and impassioned, the book reaches beyond the standard Hollywood memoir to something more affecting and enduring...Throughout, she narrates with the grandeur of a stage diva holding court: 'Actresses. What a bunch of sad saps, we are,' she intones. 'Madly in love with the child. Madly in love with the craft. Trying desperately to forge an alliance with the two, and constantly failing.' Mulgrew can be proud that this memoir, her defining monologue, proves otherwise." "It seems unfair that such a talented actress is also such a talented writer." "A powerful, beautifully written piece of work." "Stunningly candid about everything from the search for her daughter to aging in Hollywood, the actress...brings it all in her arresting new memoir." 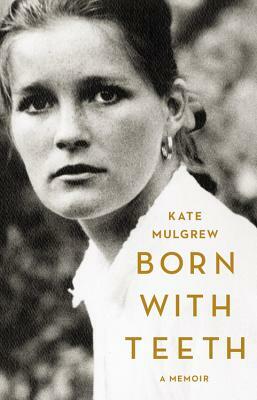 "Mulgrew has a big story to tell--several stories, actually--and she tells it with a straightforward lyricism that made me think immediately of Patti Smith's Just Kids and Frank McCourt's Angela's Ashes. It's that good." "She has formidable literary skill herself, as she makes clear from the first page of her book (I defy anyone not to fall for her from the first lines)." "Richly descriptive and relatable, the book will make you a fan of Mulgrew."